Dr. Dana Grosser-Clarkson was a postdoctoral fellow in the Center for Mathematics Education working on Dan Chazan’s NSF-funded grant (Developing Rich Media-based Materials for Practice-based Teacher Education). She completed her Ph.D. in Curriculum and Instruction at the University of Maryland. While at Maryland Dana taught several secondary mathematics methods courses and also supervised candidates in their year-long field placements. 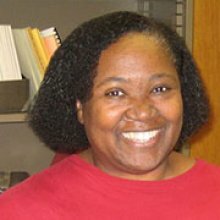 Prior to her work at UMD, Dana was an assistant mathematics professor at the University of Charleston and taught high school mathematics in Michigan. Dana holds a Master’s and a bachelors degree in secondary mathematics education from Western Michigan University, where she also worked with the Core-Plus Mathematics Project. Dana's research interests include the following: core-practices, practice-based teacher education, standards-based curricula, algebraic thinking, classroom discourse, and lesson study. Dr. Elizabeth Fleming was a postdoctoral fellow also working on Dan Chazan’s NSF-funded grant (Developing Rich Media-based Materials for Practice-based Teacher Education). She completed her Ph.D. in mathematics education at the University of Maryland in 2017. Her dissertation examined classroom interactions and student positioning in an upper-level undergraduate mathematics course. 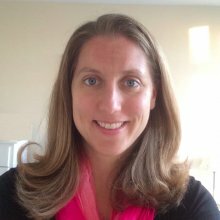 Elizabeth's current research interests include student mathematical experiences and identity development, classroom discourse and positioning, and practice-based teacher education. Dr. Orly Buchbinder was a research associate and a postdoctoral fellow at the Center for Mathematics Education from 2011-14. She earned a Ph.D in Mathematics Education from Technion – Israel Institute of Technology. She worked on an NSF-funded research project ThEMaT (Thought Experiments in Mathematics Teaching) led by Daniel Chazan and Patricio Herbst. She specialized in creating online educational experiences for pre-service and in-service teachers and worked in collaboration with teacher educators. 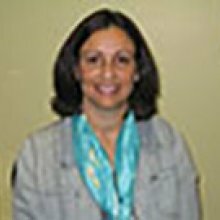 Dr. Hagit Sela was a research associate and a postdoctoral fellow at the Center for Mathematics Education from 2007-11. 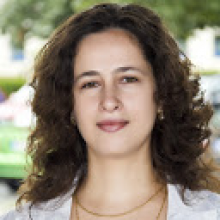 She earned a Ph.D in Mathematics Education from Technion – Israel Institute of Technology. She worked on an NSF-funded research project ThEMaT (Thought Experiments in Mathematics Teaching) led by Daniel Chazan and Patricio Herbst. Her research focused on discourse analysis in an attempt to understand algebra teachers' collective knowledge. She also developed online instruments to assess mathematics teachers' knowledge and conceptualized a research methodology and questions for studying teacher educators' use of representations of teaching. Dr. Whitney Johnson was a research associate and a postdoctoral fellow at the Center for Mathematics Education. She worked in an NSF-funded research project MACMTL- Case Studies of Urban Algebra I Teachers. She researched the characteristics that Black teachers bring to teaching Black students that can be identified and validated. She co-authored a chapter entitled "Researching African American Mathematics Teachers of African American Students" with Lawrence Clark and Daniel Chazan in a volume of Teachers College Record. Dr. Julius Davis was a research associate and postdoctoral fellow in the Center for Mathematics Education (CfME). He earned an Ed.D. in Mathematics Education from Morgan State University. 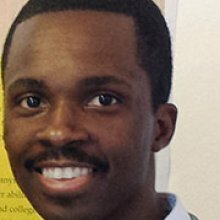 His research focuses on Black students’ lived realities, schooling, and mathematics education in urban areas. In the CfME, he developed a new line of research focused on Black mathematics teachers while working on the NSF-funded MACMTL – Case Studies of Urban Algebra I Teachers research project. He has co-authored two publications and a number of practitioner and research presentations from the Case Studies research project. The two publications are entitled “Conceptualizing the African American Mathematics Teacher as a Key Figure in the African American Education Historical Narrative” (with Lawrence Clark and Toya Jones Frank in Teachers College Record) and “The Case of a Black Male Mathematics Teacher Teaching in a Unique Urban Context: Implications for Recruiting Black Male Mathematics Teachers” (with Lawrence Clark and Toya Jones Frank in the book Black Male Teachers: Diversifying the United States’ Teacher Workforce). He continues to conduct research of Black mathematics teachers with an emphasis on Black male pre-service and in-service teachers as a tenure-track faculty member at Bowie State University.